For my 5th day of favorite things giveaways, I bring to you my favorite spa in Tampa. When most people think of Spa day's, going to a Casino is probably far from their minds. 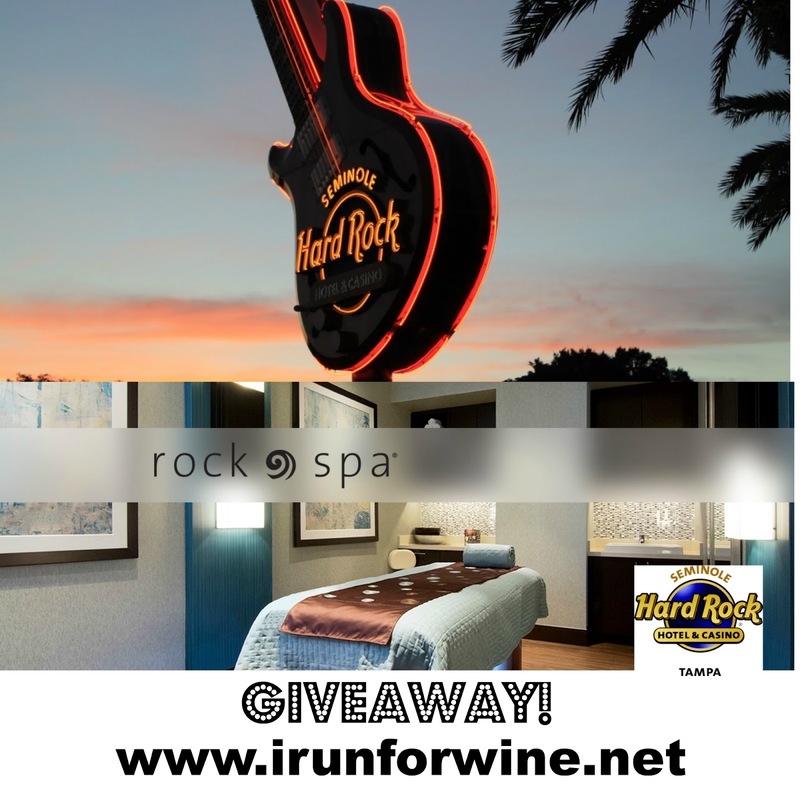 Well I don't want you to think that - Seminole Hard Rock Tampa offers spa experiences unlike any other and this is why the Rock Spa is my favorite spa in town. For today's giveaway, I am giving one reader a Rock Spa Rhythm & Motion Massage. This unique experience is a musical massage and literally lets you escape the daily stress. When I get massages, I have a hard time relaxing because my brain is thinking: missed calls, missed emails, missed texts. Did I pay this bill? What if my event next week is a failure. I need to run 5 miles tomorrow. My brain doesn't turn off. When I had my first Rhythm & Motion massage, I felt as if I left the world for a while. Rock Spa has a masterfully blended soundtrack which is part of your massage table. The massage is in sync with the music and it is downright an amazing experience. The Rock Spa at Seminole Hard Rock also has other spa treatments featuring the same technology. They have a facial called: Face the Music. A skin treatment called: Smooth Operator. A mix of all three services called: Wrap Remix. 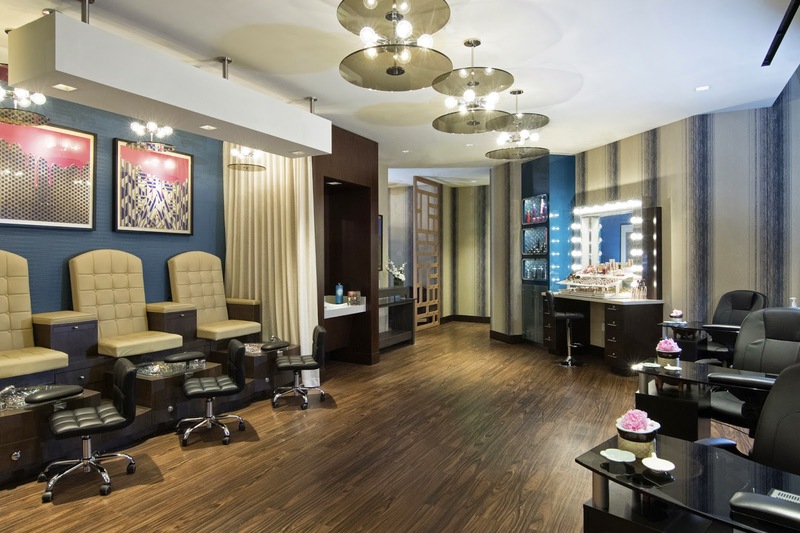 Along with the Rhythm and Motion Services, Rock Spa offers traditional spa services including nails, hair and professional makeup. I am very fortunate to live less than 10 miles from the property and able to call on this Spa to unwind from the stress in my life. Let me know in a comment below if you would keep this for yourself or gift it to someone special in your life. Enter through the rafflecopter widget below to open up additional entries. I always try to book my treatments on Wednesdays, so I can take advantage of Council Oak's Wine Down Wednesday afterwards. An amazing glass of wine is the ultimate end to a relaxing day. I would give it to my husband after he runs Gasparilla. I could use a massage after all of the brutal personal training I have been enduring!